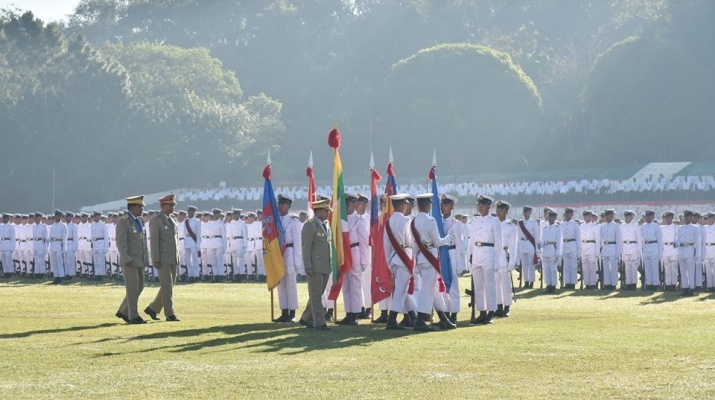 In accordance with the aim of the Defence Services Academy “To produce well-rounded and calibred officers for the Defence Services”, the junior leaders of Tatmadaw have been born. 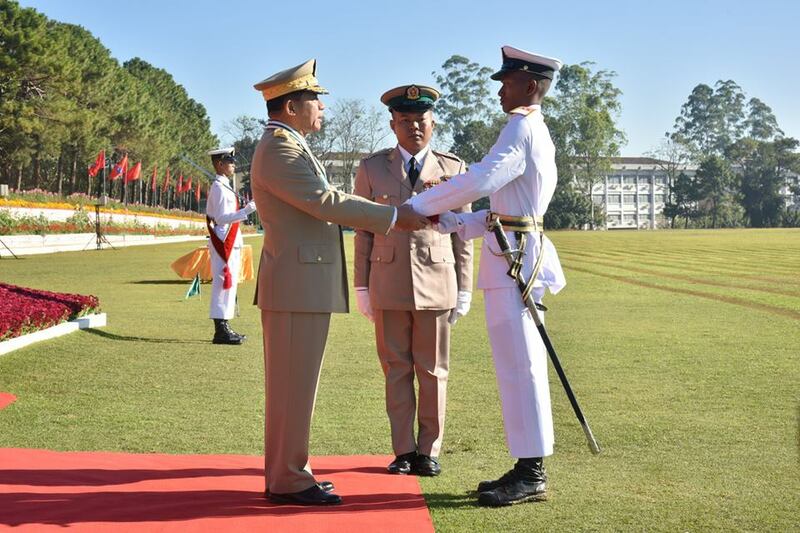 You all have seen that all alumni efficiently carried out the duties of our country and Tatmadaw from era to era and Defence Services Academy has acquired a good reputation. 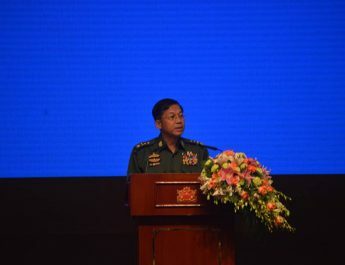 You must be good officers who are reliable for the higher officials, given respect by the lower ranks, be trustworthy of the populace and cut out to be the well-rounded and calibred officers to preserve the noble dignity of Tatmadaw, said Commander-in-Chief of Defence Services Senior General Maha Thray Sithu Min Aung Hlaing at the Passing-out Parade of the 59th Intake of the Defence Services Academy at the parade ground of the DSA in PyinOoLwin this morning. 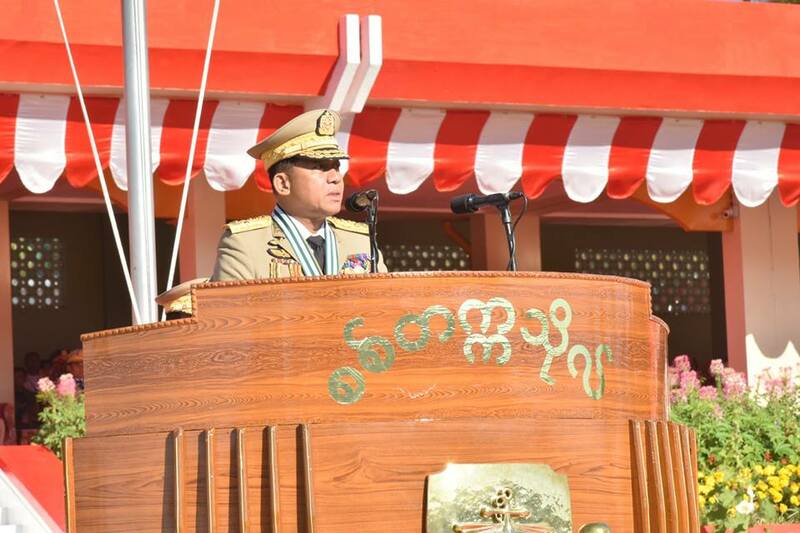 Also present at the ceremony were Daw Kyu Kyu Hla, wife of the Commander-in-Chief of Defence Services, Union Minister for Defence Lt-Gen Zeya Kyawhtin Sein Win, Commander-in-Chief (Navy) Admiral Zeya Kyawhtin Tin Aung San and wife, Commander-in-Chief (Air) Genreal Zeya Kyawhtin Khin Aung Myint and wife, senior military officers of the Office of Commander-in-Chief (Army) and their wives, the Command Commanders, the commandant of the DSA, senior military officers from PyinOoLwin Station, military attachés of the foreign military attaché offices to the Republic of the Union of Myanmar, invited guests and parents and relatives of the graduate cadets. First, the Senior General took salute of the graduate cadet battalions and inspected them. Then, the cadet battalions saluted the Senior General with slow-march past and quick-march past. 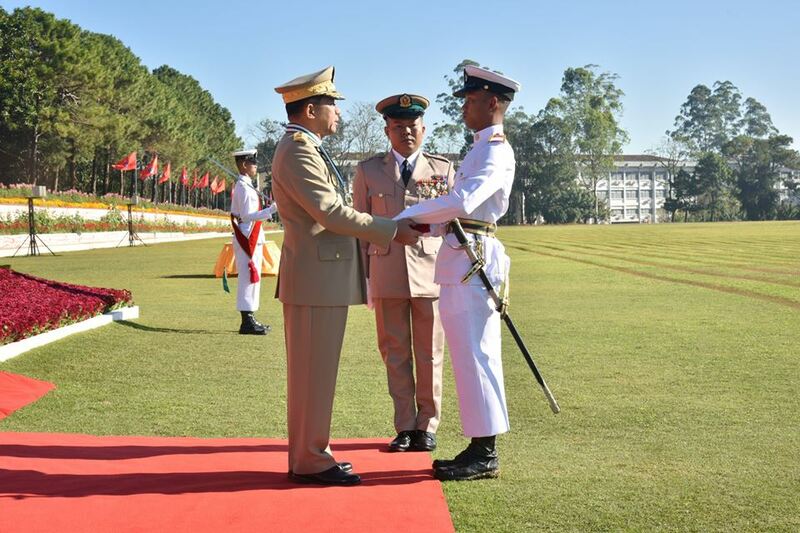 The Senior General then presented Best Cadet Award to Cadet Kyaw Thuya (Cadet No. 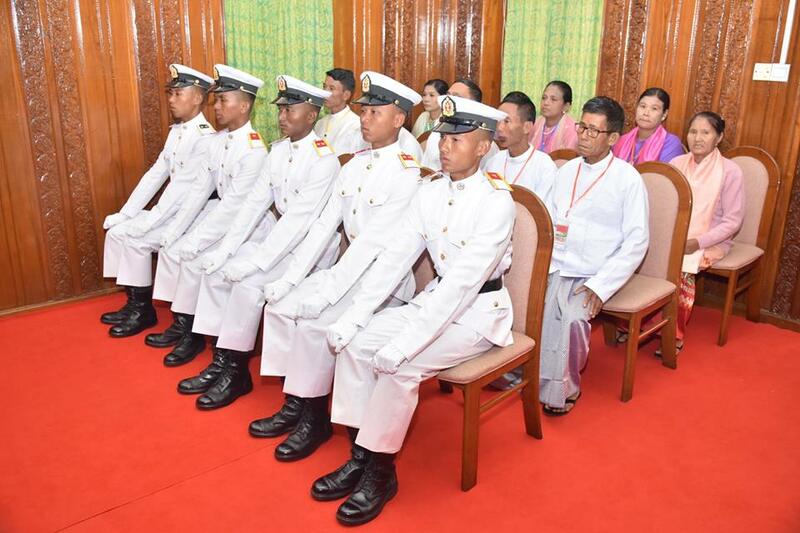 30765), Outstanding Award in Training to Cadet Myo Zaw Oo (Cadet No.31232), Outstanding Award in Literature (Arts) to Cadet Pyae Phyo Aung (Cadet No.31139), Outstanding Award in Literature (Science) to Cadet Than Toe Aung (Cadet No.31479) and Outstanding Award in Literature (Computer) to Cadet Thein Toe Aung (Cadet No.31488). In his address the Senior General said that it can be seen that the motto of DSA “Honour, Valour, Wisdom” has a profound meaning and goes with the aim to fulfill the aim of Defence Services Academy. 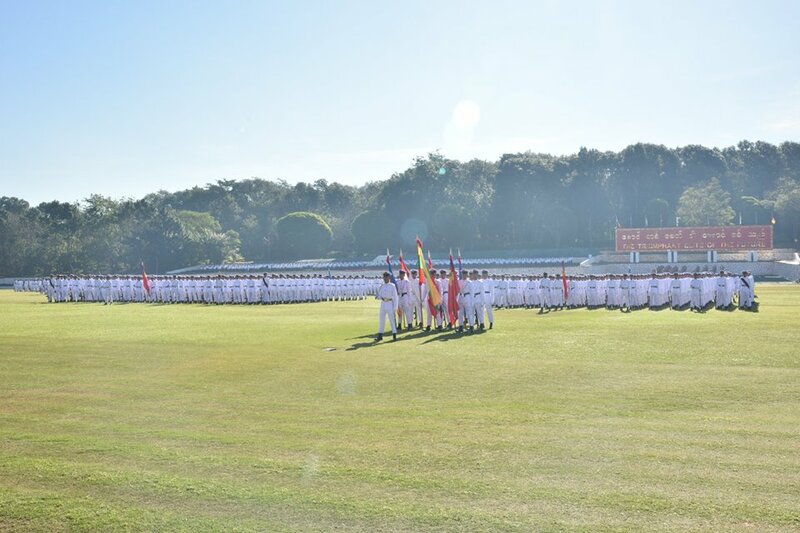 Defence Services Academy has born you as the good leaders who are becoming the triumphant elite of the future with the capabilities of “Honour, Valour, Wisdom” to be experts in military science, arts and science which are necessary for a good military leader, to eliminate dangers of our country and Tatmadaw by courage (Thura), and to safeguard any threat of our country, Tatmadaw and the people with heart and soul. leaders to implement your duties. You who are going to serve as the junior leaders in respective corps and services soon must try your best to acquire for leadership qualities. It is essential for you to perform your duties in accordance with the sixteen leader-ship qualities. Besides, you have to fulfill the skill not only which makes your underlings reliable on you but also the qualification to lead them. You, comrades will carry out military leadership and social leadership at the same time. With reference to the social leadership, you have to make sacrifices on your underlings like the parents as you had been trained with the Guardian system. Bearing on the military leadership, you must be decisive. You must have self-denial and a desire to improve in your lives. You have to implement your duties with industriousness, honesty, self-denial, altruism and knowing the human- nature to succeed in your lives. As for the promotion, all of you will be granted the same rank at the same time. But industriousness, loyalty, dutifulness, healthiness, fate, wisdom, diligence and being well-disciplined, will be the outcomes for your future promotions during your service. Equal chances are given to you although all of you cannot be the top-one. 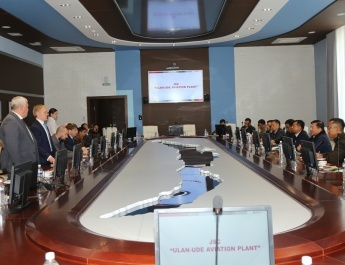 You all come to know that there are different grades according to your efforts although all of you had received the same training during four years at Defence Services Academy. Therefore, you have to keep trying for the best with self-control because all of you are given the same opportunities. You must be endowed with three abilities to carry out Our Three Main National Causes. You must practice and study the needs to be skillful in Military abilities, Organizational abilities and Administrative abilities. You must practice and study the Military Science for the effectiveness of the Military ability and implement the effective managements and chains of control to carry out the issued orders, directives, rules and laws. With reference to the administration, everyone has to perform his own duty and need to be manageable for others. You must be a good leader who is able to carry out both tasks. Furthermore, you must be good followers. You have been trained to create maturity, as the strong spirit can get over the difficulties. You all have the strong-spirit and maturity will get victories over adversities as you have already practised the basic needs which are the leadership, comrade spirit, self-respect and being disciplined well for the strong spirit. High moral is important to cultivate the good spirit. So you have been trained well by parents and teachers from childhood to adult at Defence Services Academy, to have high moral. People who have high morals live by the discipline of the religion and society. You must not only have self-worth but also give special consideration for others. Therefore, you need to bring yourselves up to be the excellent leaders throughout your lives. The affairs of political, economic, administrative and military are not standing alone, and they are connecting each other in the 21st Century. So, you should not only focus on the military science but also start reading to be familiar with other subjects from now on. You will be full of wisdom and knowledge like the proverb “Knowledge is Power” and you can get over the difficulties. 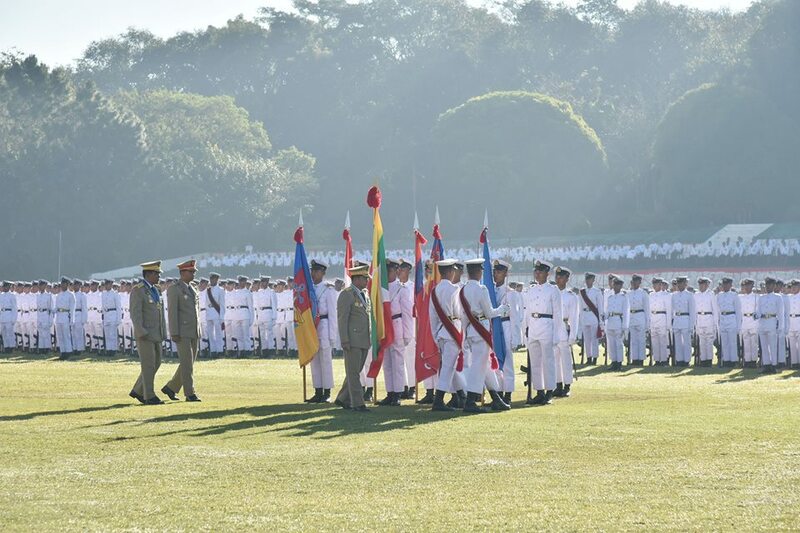 Military discipline is the backbone of Tatmadaw as well as the soul. Our Tatmadaw must be the shining example for others on the rules and laws of the Tatmadaw, field disciplines and civil laws. You also must abide by the disciplines and laws by yourselves. Avoid laying down strict disciplines and you, yourself having your own way. You must keep self-control because self-indulgences can spoil yourselves. Besides, you must control your underlings. Only when you are the ideal person on discipline, you will easily manage the organization you led. It can be seen that only the well-disciplined organization can last for a long time and it can carry out the tasks and duties. If you study military history, you can find that the leaders who were not able to organize the troops systematically lost the victory. If a person is well-disciplined, he also has a mind to perform dutifully at any times. Therefore, you must correct the faults of your underlings if there is ill-disciplined. You hold on the 60 military codes of conduct firmly which must be followed by all military personnel. Only when you have self-control on amusements and must be thrifty, your balancing income and expenses will be equivalent. The value of life will rise if you follow disciplines on where it worth going and having happiness. Your values will rise more and more if you are careful with self-denial, desires and thrift, and control yourselves. Tatmadaw is responsible for safeguarding the independence and sovereignty of the Republic of the Union of Myanmar composed of over 100 national races. 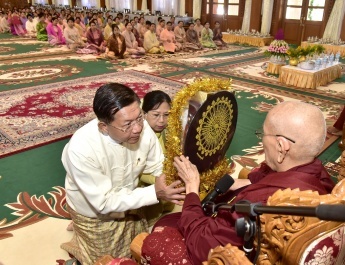 Tatmadaw performed the historical heritage which is achieved by sacrificing life, blood and sweat of our ancestor to be magnificent by venerating the four oaths from era to era. In accordance with the desires of the people, the infrastructures which are necessary to set up the new democratic country have been prepared and constructed for two decades. Now, Tatmadaw is taking part as a National institution in multiparty democracy platform which is chosen by people. Our Tatmadaw must be free from the shade of politics. Tatmadaw must safeguard National Interests and Identities. Tatmadaw is venerating Our Three Main National Causes and trying to achieve the Union based on federal system and democracy in accordance with the policy based on the pathway of multiparty democracy system. The responsibility of our Tatmadaw is to eliminate any activity which can harm the Sovereignty and to safeguard the National Interests, National races and citizens. Although the responsibilities are shared in accordance with the constitution, you must note that they must be under the law. There is no one above the law. We must abide by the rules and regulations, laws, instructions and directness of the Union. Military personnel are abiding by the issued orders, disciplines and instructions while carrying out the tasks. Therefore, it can be seen that Tatmadaw performed systematically and legally concerning with Rules of Engagement (ROE) in Rakhine State. During the latest terrorist attack in Rakhine State on 25 August 2017, ARSA extremist Bengali terrorists made the synchronous attack on 30 police security outposts and one battalion headquarter. Besides, villages of local national races were threatened and many local national races people were murdered. Moreover, regarded with the activities of the terrorists, this terrorist attack is a deliberated attack according to the training, storing food and planning to attack the Military Unit. It is found out that the deliberated attacks are provided by some of the resident people. The government declared them as terrorists. Nevertheless, it can be seen that International community did not know the real situation because some international organizations and foreign news agencies are releasing the false news based on the false information and propaganda concealing the truth. Although the government and Tatmadaw are carrying out the tasks under the rule of law, the international community received the false information. Our Tatmadaw have to safeguard the national races forever and carry out for them to live in unity and peace. Tatmadaw must fully protect the ethnic minorities in Rakhine region not to have the genocide. 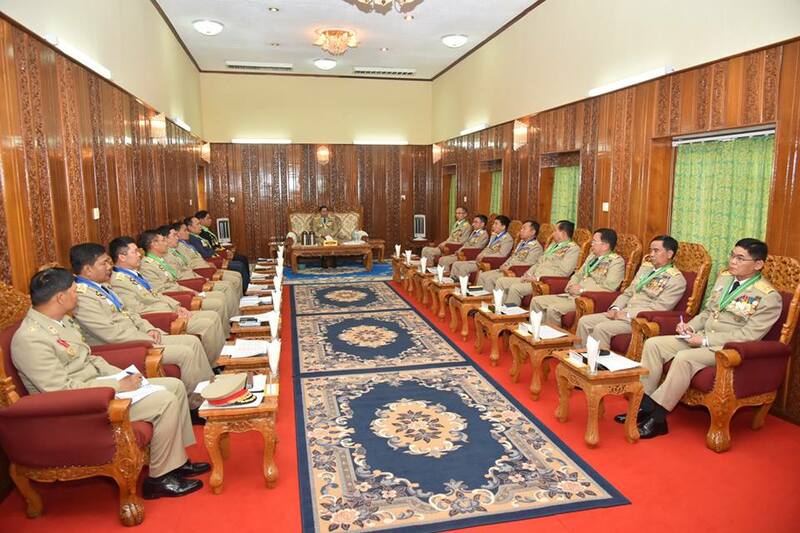 Tatmadaw is going to cooperate with constructive and good actions. As regards the National Peace Process, peace, stability and permanent peace are the primary requisite to succeed in the goals of the Democracy, develop the country and march on the multiparty democracy path in accordance with the people desire. Therefore, Nationwide Ceasefire Agreement (NCA) signed by eight ethnic armed organizations (EAOs) is the mainstay and vital for peace process that is necessary for our country. The aim of NCA involves the practical implementation of the entire nation’s aspiration goes beyond the word “Ceasefire” and its essence has the broader and deeper essence. In the agreement, there is no issue which has restrictions on the rights of the National races and the rights are allowed as much as possible. We need quick action in implementing necessary tasks of NCA to enjoy the results and fruits of peace. 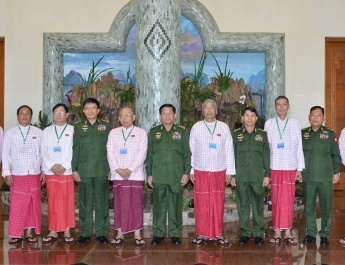 The six peace principles of the Tatmadaw implemented by comparing the history with current situation are the fundamental facts which are needed to cooperate for both sides. 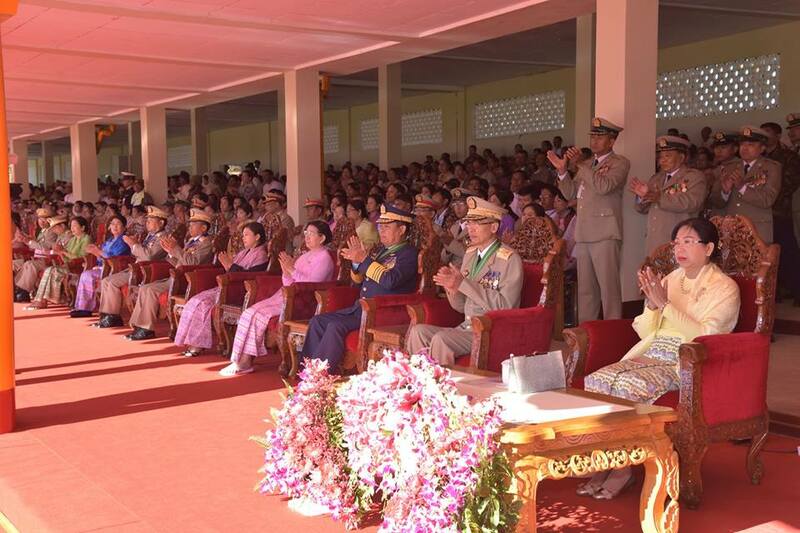 The Tatmadaw which is mainly responsible for the state defence duty, will always uphold and safeguard Our Three Main National Causes and never accept encroachment on those causes. Then, the Senior General took the salute of the cadet companies and left the venue. After the conclusion of the parade, the Senior General met with five outstanding cadets and their parents at the DSA parlour and gave an honorary speech.